We've got four great gift ideas for the food lovers in your life! Our Dine Originals Decks make the perfect stocking stuffer! Each deck of 52 cards contains 52 $10 offers to each of our restaurants and cultural destinations ranging from Available Light Theatre to the Wexner Center! It's a $500 value for just $20. Buy them online, or in retail outlets including Celebrate Local at Easton and the Experience Columbus Visitor Centers in the Arena District, Convention Center and Easton. Click here to buy. Buy one gift card, and your recipient can use it at any of our 30 member restaurants! What a great gift idea for anyone who loves to dine out—and they can be printed immediately! Plus, we brought back our Buy $100, Get $50 deal Dec. 18 through Christmas Day! Purchase $150 in Dine Originals Columbus eGift cards and you'll get a $50 bonus card to add to your gift or keep for yourself. Click here to buy. Each quarter, our member restaurants release a limited quantity of gift certificates at 30% off face value—and we've still got some great deals in stock! Pick up gift certificates to your special someone's favorite restaurants at a terrific price. Click here to buy. Our annual fundraising gala at Franklin Park Conservatory is a CAN'T-MISS EVENT for the city's food lovers! Meet the chefs and owners from every Dine Originals Columbus restaurant and enjoy unlimited food and wine while enjoying live music and exploring the beautiful Franklin Park Conservatory. Proceeds stay right here in Columbus and benefit The Buckeye Ranch, which serves children and families who struggle with emotional, behavioral and mental health issues. Taste of Dine Originals 2018 returns May 10, 2018, and tickets are already on sale. Surprise your loved one with a pair for Christmas this year! Click here to buy. Just can’t face the idea of spending the day slaving away in the kitchen? This year, go out to eat for Thanksgiving! Here are five Dine Originals restaurant options open for Thanksgiving. Be sure to call ahead for reservations! Copious will be open and serving a 3-course Thanksgiving Feast menu! Choose from a traditional Turkey and gravy entrée, Seared Scallops with caramelized Brussels sprouts, or a Fall Risotto! G. Michael’s will be serving guests from 3 to 7 p.m., serving a traditional turkey dinner along with an a la carte menu. Kindred Spirits, the restaurant at the Inn & Spa at Cedar Falls, is open for Thanksgiving by reservation only. Celebrate Thanksgiving with an Italian twist at Nicola! Chef Nicola Bedalli’s menu features Fesa di Taccino, a turkey breast rolled with pancetta, glazed ham and pistachio; Maile in Padella, seared thyme-rubbed pork tenderloin with a cranberry-and-orange glaze; and much more! Open 5 p.m. to 12 a.m.
As always, Tip Top will be open for Thanksgiving. Order the traditional turkey dinner special with mashed potatoes, stuffing and green bean casserole before it’s gone! Best part? No reservations necessary! Open 11 a.m. to 5 p.m. The Worthington Inn is open for Thanksgiving and offering their Annual Thanksgiving Buffet. The Inn is currently booked, but accepting waitlist reservations. 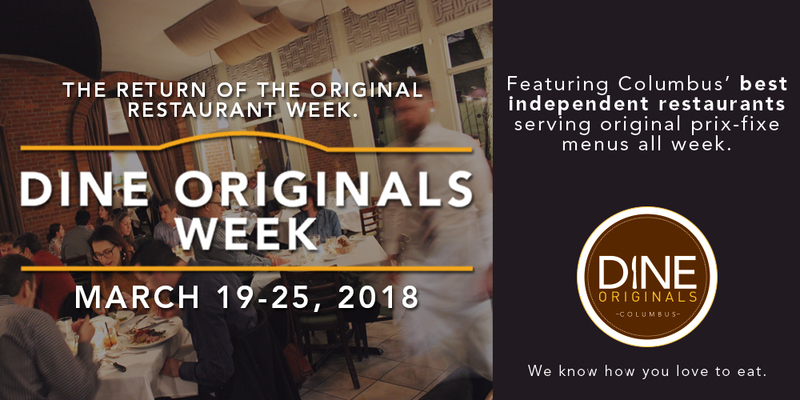 Just days before our most recent Dine Originals Week restaurant week, in the wake of two devastating hurricanes, our Dine Originals Columbus board president Tom Anthony issued a call to our member restaurants. He asked restaurants to consider making a donation to food banks in the areas recently affected by Hurricanes Harvey and Irma (Hurricane Maria was, at this point, still brewing in the Atlantic). The response was incredible. In just over 24 hours, our restaurants had pledged over $5,000 in donations. By the end of Dine Originals Week, 10 restaurants had come together to donate $7,000 to local food banks in Texas and Florida. 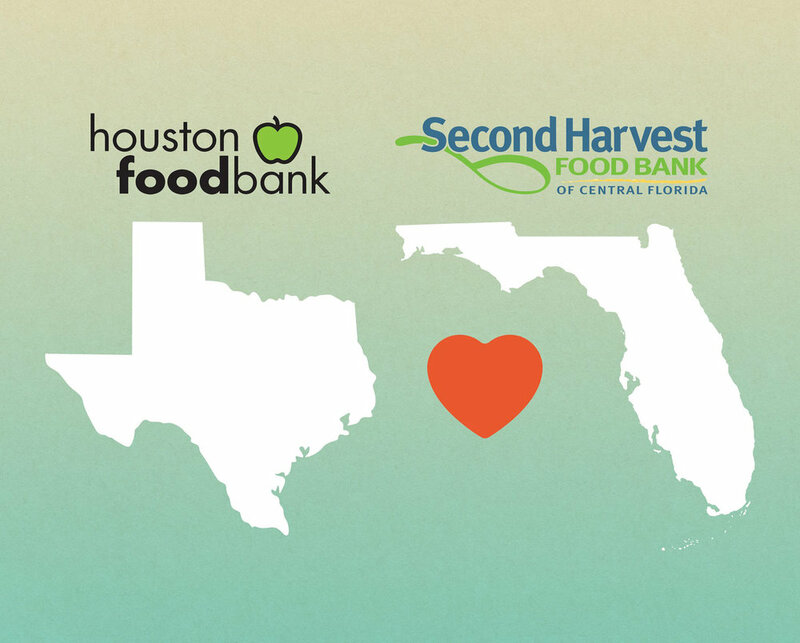 Dine Originals Columbus has sent equal donations earmarked for disaster relief efforts to the Second Harvest Food Bank of Central Florida—which, in addition to serving Floridians affected by Hurricane Irma is also providing assistance to Puerto Ricans displaced by Hurricane Maria—and the Houston Food Bank. Both food banks have earned a top four-star rating by Charity Navigator, an independent charity watchdog organization. Thanks to the incredible generosity of the following restaurants: Barcelona, Basi Italia, Chile Verde Cafe, Due Amici, Elevator Brewery & Draught Haus, Figlio Wood-Fired Pizza, G. Michael’s Bistro & Bar, Katzinger’s Delicatessen, Local Roots, Paddock Pub, The Refectory Restaurant, The Top Steakhouse, Vino Vino and The Wine Bistro, as well as our partners at Experience Columbus. Columbus’ independent restaurants are part of the fabric of the city of Columbus. Dollars spent at our restaurants stay in our community and benefit our neighbors. This week, during Dine Originals Week restaurant week, Dine Originals Columbus restaurants are banding together to assist communities outside Columbus during a time of great need. Dine Originals Columbus restaurants will pull together donations to be given directly to food banks in Texas and Florida communities hit by Hurricane Harvey and Hurricane Irma. Our restaurants have collectively pledged to donate over $5,000. Customers who wish to support our efforts can help by donating via our hurricane relief donation form. 100% of proceeds will go directly to the Houston Food Bank and the Second Harvest Food Bank of Central Florida, helping to feed families affected by the devastation. Both have earned a top four-star rating by Charity Navigator, an independent charity watchdog organization. We invite you to join us as we collectively come together for a purpose far beyond our tables.